Sabi River Sun Resort, situated near to the renowned Kruger National Park, offers exceptionally comfortable accommodation surrounded by natural splendour. Guests can choose from a range of 60 rooms that provide views of the beautiful surroundings and reflect the warmth and hospitality of Africa. Our Hazyview accommodation is equipped with a range of amenities to ensure the comfort and convenience of guests. 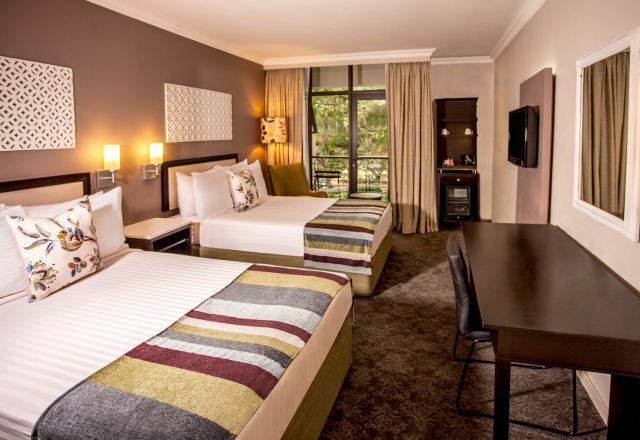 Room amenities include free WiFi, flat-screen TV with DSTV, in-room tea and coffee facilities, and air-conditioning. Rooms feature two double beds and an en-suite bathroom with a bath and shower combination. Cosy furnishing, rustic themes, and excellent service all combine to round off a memorable stay in Mpumalanga. Smoking rooms are also available upon request. Standard Rooms at our Kruger Park hotel have two double beds and an en-suite bathroom with shower and bath combination. 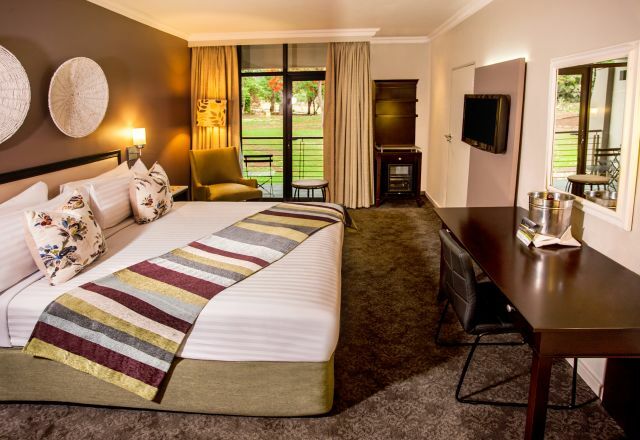 Family Rooms at our Kruger Park hotel have two double beds and an en-suite bathroom with shower and bath combination.